that reflects your sincere values and greatest aspirations! All of this is possible and already available to you! 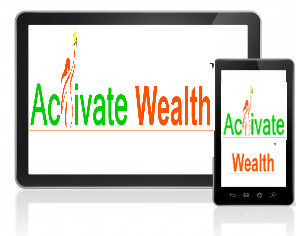 You Simply Have to Activate It!!! In this 4-week course, you'll gain real world wisdom to activate the life of abundance, freedom, security, and success that is your birthright. You'll get this dynamic 4-week program with video/mp3 lessons, bi-weekly calls with laser coaching sessions, and private access to our Facebook group. I invite you to come join us to take your life to another level and shatter your financial glass ceiling. I fully stand behind my work. If you fully implement the strategies and techniques I teach, you'll see results in your life. If for some reason the program doesn't meet your expectations, just send me an email and you will receive refund within 30 days.